Since we’ve founded Kollektiv25 we’re very happy with the way things are going. Just recently it showed to us again, that it also makes a lot of sense economically. It started with a call from »Yuno«. Yuno is the youngster version of Stern magazine. It is made for kids in the age from 10-15. They called up Julius, asking if he could do a job near Hannover. Julius couldn’t do it because he was in Amsterdam. He could recommend Manz though because he was back in Hannover by then. 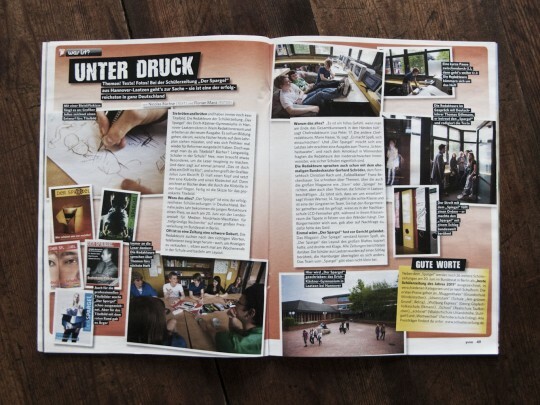 So Manz was able to help them out with photographing a school newspaper. After that they must have checked this website and found out that i’m currently in Laos. They asked me to come up with some ideas about a picture showing children on their way to school. 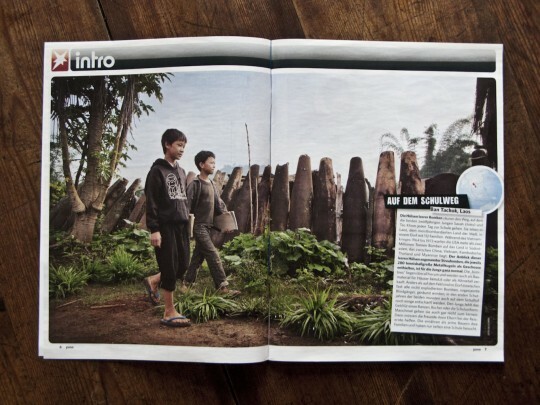 Since Laos is the most heavily bombed country on earth, I proposed a picture with kids passing by a fence made out of bomb shells. They wanted it. That means that Manz and I both got jobs because Julius wasn’t available. Without this collectiv, what would have happened? Most probably the editors at Yuno would have just called somebody else after talking to Julius. The chances that it were Manz and later me would have been rather small. So, connect yourself! It’s not only a good thing, it fills your frigdes too!